I imagine, like many other new students, that you’ve had months of nail-biting anticipation and preparation for the student life ahead of you. Well now you’re finally here – welcome! If you’ve done a Google Search “Surviving Fresher’s” you’ll have seen the mass of tips that flood the search results page and gone onto click every link possible in the hope that you will absorb as much information as you can. Well stop searching, look no further… here’s some quick and easy guidance from me and my colleagues here at Cardiff University. University can be an amazing opportunity to meet people, have fun and learn. We know that lots of people will be really excited about their studies and making the most of being in a big city, whilst some students will feel a little more nervous about it! Both are completely normal reactions to the transition from home to university life. Take comfort in the fact that everyone is in the same boat – almost every student will be living somewhere new, in a new city and meeting people they have never met before! I think most students have their own idea of how they want they want their freshers’ to be – but sometimes it doesn’t pan out that way, and that’s okay. Most students will experience some nerves about coming to Uni. The novelty, lack of friends and disorientation is universal. Some will love it and some will find it a real struggle. Either way, there are things that all students can try to make their transition easier. Take a look at our advice and support for social anxiety, homesickness and other student wellbeing topics. Getting to know people is not always as easy as it seems. 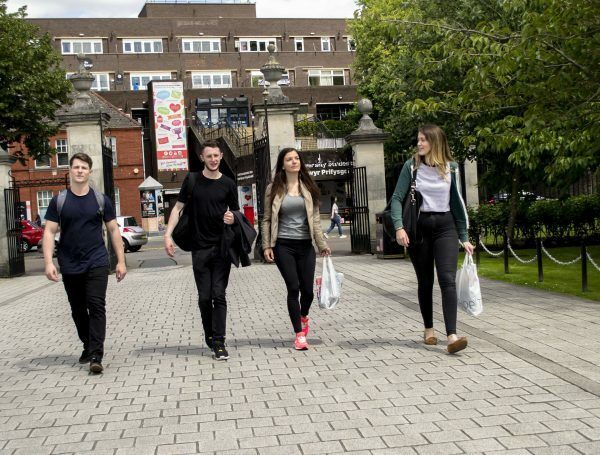 Cardiff University is fortunate to have a huge number of students enrol every year, so if you are not keen on the people you have met so far, don’t lose hope! Your flatmates and course mates are not the only students here and if you’re not sure about them, don’t let this define your uni experience. Find out more about the Residence Life team in university accommodation. The team are encouraging a supportive, fun and friendly community to with an exciting calendar of social events, drop-in sessions and helpful workshops throughout the year. Despite the chaos and confusion, Fresher’s Fairs are well worth attending. They are a chance to learn about what’s going on in the university and for you to get involved in something new. Universities are renowned for their offers of unusual and exciting sports or music opportunities at a significantly lower price than they would normally be – make use of this! Even if nothing else appeals to you, no fresher can really resist the lure of the freebies. I hear there’s free pizza. If you are not sure about what you will be interested in and don’t want to sign up to something straight away, why not try a taster session? Take a look at what’s on at Students’ Union. Take a look at what’s on at university. Your first year of Uni is a unique experience and can be an opportunity to form memories that will last a life time. Try to keep an open mind about what you might enjoy and about the people you come across. When we are struggling to fit in to a new situation we often look for familiarity as a way of seeking comfort- don’t let staying in your comfort zone prevent you from making the most of an opportunity to meet people from all different backgrounds, experiences and lifestyles. 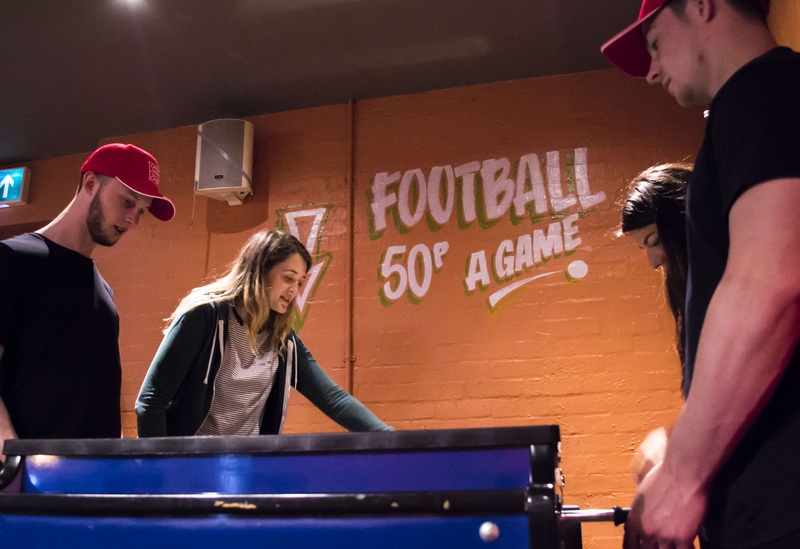 Take a look at the many different activities, clubs and societies you can get involved in. 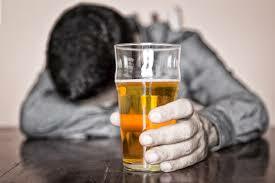 Be Drink aware – read our blog for tips on how to stay safe whilst drinking, and to recognise when to cut down. Drug use is not condoned by the University or South Wales Police. Please be aware that University Residences, Security and South Wales Police work together to address drug use on campus (read our blog on drug use for more information on staying safe and university policy). Never leave your drinks unattended on a night out. Ask yourself… is this really safe? 6. If you are struggling to settle in talk to us! The Student Support and Wellbeing teams are here for you. There is no problem too big or too small so please contact us and we can advise you, in confidence, on the most appropriate help for you. Find out more about our Counselling, Health and Wellbeing services. Find out more about the Residence Life team in university accommodation. Take a look at the new student web pages and log in to the intranet for even more advice on settling in and making the most of your student life. For your convenience and easy access to information and support download the student app. Have you found this blog post useful? Please help us by commenting in the bar below, and note any questions there too. To help us support more students please re-tweet or share this post by using the share buttons or via twitter and facebook.